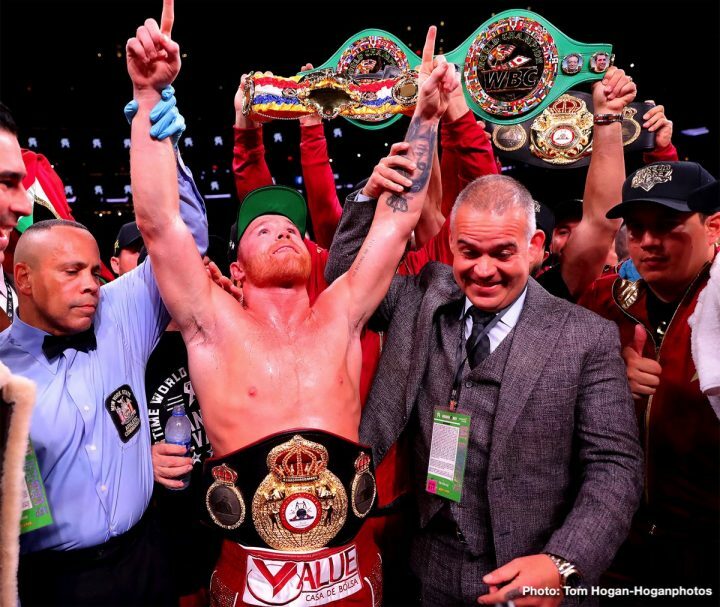 In front of a sold-out crowd of 20,112 at Madison Square Garden on Saturday night, WBC, WBA, Lineal and Ring Magazine Middleweight World Champion Canelo Álvarez moved up a weight class and took down Rocky Fielding via third-round stoppage to claim the WBA World Super Middleweight title and join an elite group of three-division Mexican world champions. 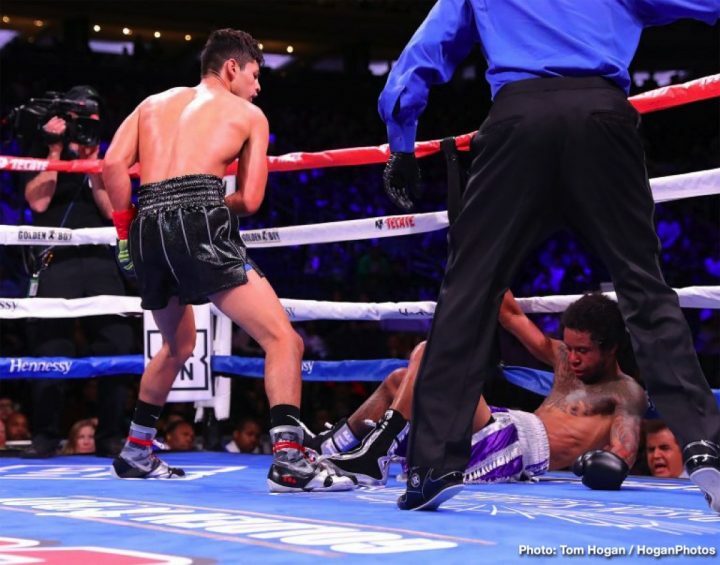 The main card bouts featured a fifth-round knockout by Ryan Garcia, a comeback-trail victory for Brooklyn’s Sadam Ali and an impressive title defense by IBF Super Featherweight champ Tevin Farmer. 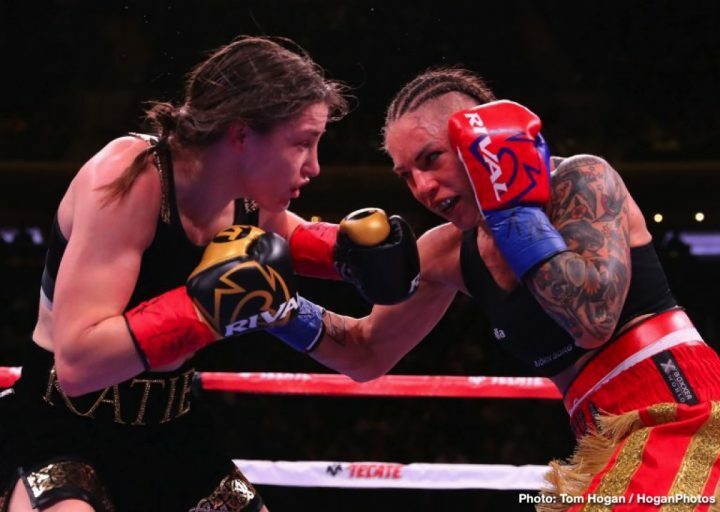 Earlier in the evening, IBF & WBA Female Lightweight Champion Katie Taylor shut out undefeated Eva Wahlstrom. 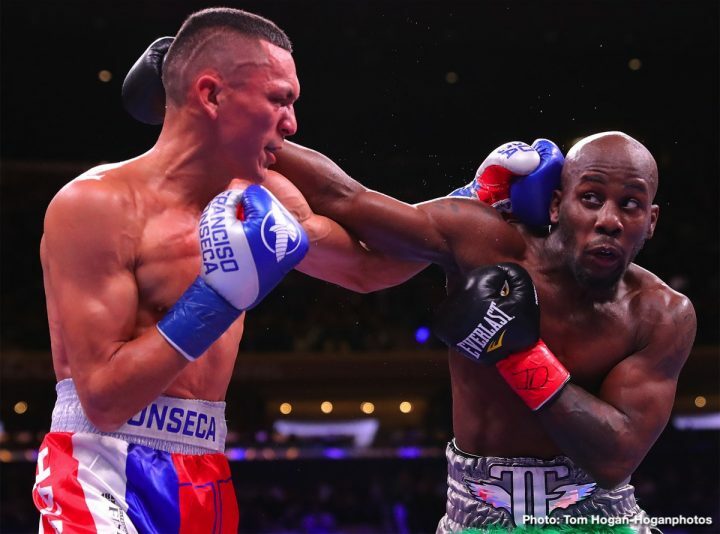 12-Round IBF Super Featherweight Bout @ 130 lbs. 10-Round Middleweight Bout @ 147 lbs. 10-Round Lightweight Bout @ 135 lbs. 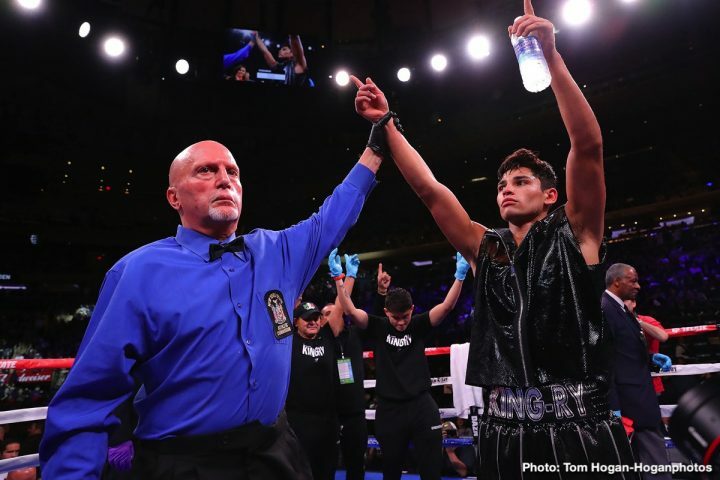 10-Round IBF & WBA Female Lightweight Title Bout @ 135 lbs.